India ranked 11th in the list of top 20 countries with the highest visitors to Vietnam, announced the Department of Tourism of HCMC at the ‘Visit Incredible India in 2019’ event promoting Indian tourism in the Southern economic hub which was held in the city on March 20 by the Indian Consulate General in Ho Chi Minh City. Although the number of tourists of the two countries has recently increased but it has been not worthy of the two sides ‘potentials, said Consul General of India in Ho Chi Minh City, K. Srikar Reddy. Vietnamese and Indian policies have focused on e-visa issuance for foreigners and the launch of direct routes between HCMC and Delhi operated by low-cost carrier Vietjet, he added. Chairman of the HCM City Tourism Association, Tran Hung Viet appreciated potentials of tourism development and cooperation between Vietnam and India. The two countries should strengthen tourism promotion to attract visitors, especially offering several direct flights connecting Vietnam and India. On January 18, India’s Minister for Tourism K. J. Alphons attended the Seventh Meeting of Tourism Ministers of ASEAN and India held in Ha Long City. At the meeting, the ministers designated 2019 as the ASEAN-India Tourism Co-operation Year, and hoped to enhance cooperation with the goal of increasing two-way tourism and promoting friendship between ASEAN and India. 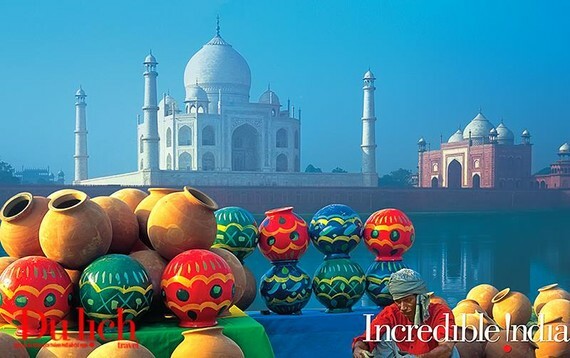 Incredible India is an international tourism campaign maintained by the Government of India since 2002, to promote tourism in India to woo travelers and make them aware of the magnificent holiday options in the country.